​Discover how to plot a sailing course and read charts to find your way around harbours and the open coast. ​ Sails 2 to 6 Cadets. This is the larger boat of the two. It is mainly used to train the new cadets. Used for long distance sails. 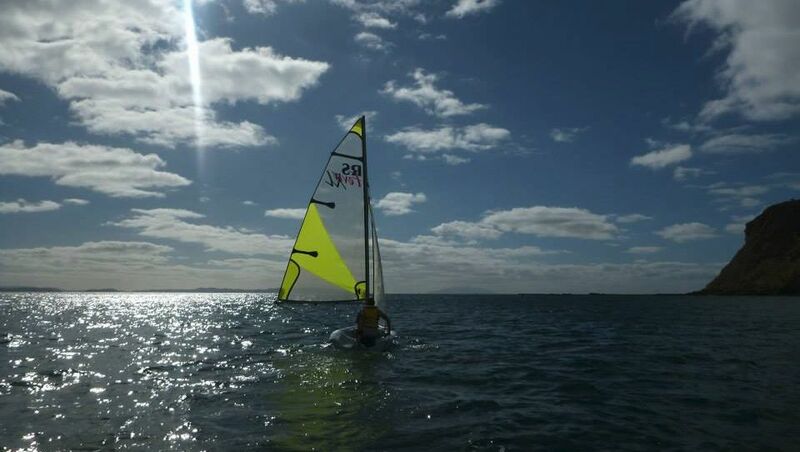 ​ Sails with 1 to 3 Cadets. The smaller and faster of the two. It is used more often for the experienced and senior cadets. Can be described as ‘a large windsurfer’. Learn a multitude of skills required to man the boats we sail. Develop skills to survive on the water in all conditions. and recover a capsized (overturned) boat. Experience driving various types of power craft. In Jack-speak (Navy terminology), to go 'Pulling' means to go rowing (i.e. to 'pull' the boat across the water). Following the Navy, Sea Cadets have a similar discipline value, this is promulgated through the rank structure. Progress through the ranks and earn responsibility. As part of the curriculum, cadets are taught different aspects of leadership in theory and then are put into practice during activities. ​One of the first thing Cadets learn: Team Building. Work as part of a cohesive team. Discover and practice the basics of First Aid. The syllabus covers basic first aid including: minor injuries, being calm, and ensuring that emergency services have been notified. Master the art of ropework, including several useful bends, hitches, and knots. Learn how to correctly store and stow rope. Cadet Forces is the only youth organisation allowed to own and use firearms. Shoot with a .22 Marlin Rifle. Fire bullets, practice marksmanship, learn rifle safety, correct rifle maintenance and the laws of ownership. Find you way around harbours and the open coast: Plot a sailing course, draw a three point fix and read charts. Following the Navy's drill standard, learn commands of drill and use them in appropriate ceremonies. There are multiple uniforms for different parades and activities. Junior Non-Commissioned Officer (JNCO) Course - Equivalent of NZDF Junior NCO Course. Cadets attend this course to be promoted to the rank of Leading Cadet (LCDT), and become a JNCO. Senior Non-Commissioned Officer (SNCO) Course - Equivalent of NZDF Senior NCO Course. JNCOs' attend this course to be promoted to the rank of Petty Officer Cadet (POCDT), and above, thus becomeing a Senior Rate, or SNCO. Cadet Coxswains Course - This is a sational course, reserved for Sea Cadets. The cadets are assesed on their ability to anchor a boat, recover a Man Overboard, mooring to bouy, coming alongside a jetty, recovering a capsized boat and more. ​Cadet Bushcraft Course - Intermediate level bushcraft, survival, SAR and outdoor first aid course. Cadets from the Cadet Corps (Army cadets), and the ATC (Air Cadets) usaully attend this course. Under Officers' Course - Not required, but useful for promotion to Warrant Officer (WOCDT) and Under Officer (UO) ranks. This course trains senior cadets on roles which an Under Officer, and Commissioned Officer fulfills. Officer Commissioning Course - The course where officer cadets learn how to become comissioned officers. Officers undergo formal training in risk management. This course includes NZQA risk management unit standards. Marine Safety Officer (MSO) Course - Officer who pass this course are allowed to take cadets out on the water for water activites. Officer Bushcraft Course - Officers are trained to lead unit expeditions, and tramps. Officer Instructional Technique and Training Management (ITTM) Course - Course for Officers to learn teaching skills. This course includes NZQA instruction unit standards. Shooting Coaching Course - Training for senior rates and Officers in shooting coaching technique. Ranfe Safety Officer (RSO) Course - Required training for Officers to become a Range Safety Officer on unit range shoots. Officer Command Course - Training for Officers to become a Unit Commander. Every year T.S. 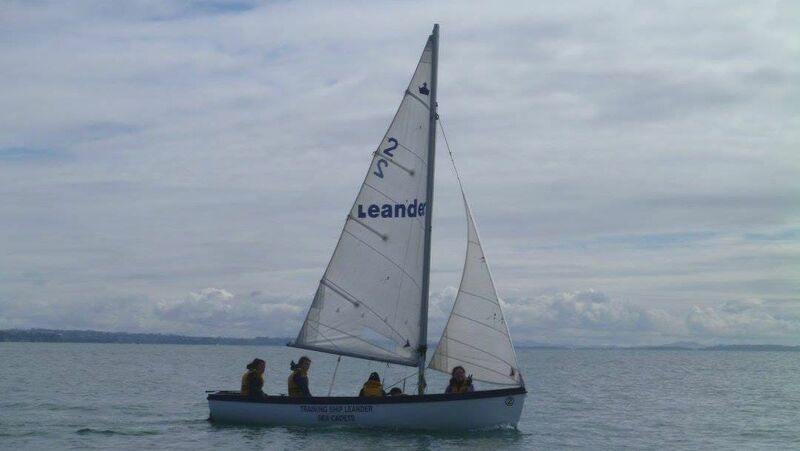 Leander competes against the six other Sea Cadet Unit in the Northern Area: T.S. Achilles, T.S. Bellona, T.S. Chatham, T.S. Diomede, T.S. Gambia and T.S. Rangiriri. Together the seven units compete in a varity of fields. The three area winners from Northern, Central and Southern Area come together to compete for the National title. The three teams compete against each other in the same activities as the Area Regattas, plus a Mystery event. This is a weekend camp for new recruits, and predominantly will be the first camp a cadet will attend. 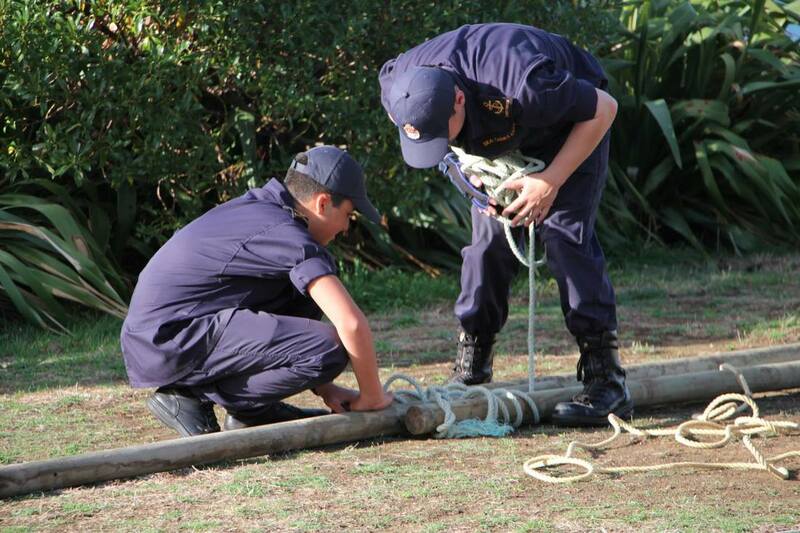 During the BCT, cadets will learn all the necessary skills to start them on their journey through Sea Cadets. Some of the lessons that are covered include: Learning how to care for and repair uniform, harassment & bullying, personal hygiene, Sea Cadet rank structure & compliments to officers, and basic drill. BCT's are usually held in conjunction the other Northern Area Sea Cadet units. 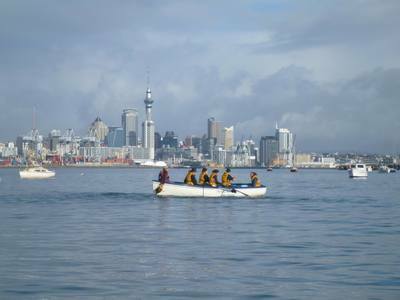 Throughout the year there are multiple activities that combine the Northern Area Sea Cadet Units for sailing activities. Most units will host one activity every year, and they will invite all the other units to participate. TS Achilles hosts 2 Chill 4 as mentioned above. TS Bellona hosts a Long Day sail up Riverhead and return to their unit. 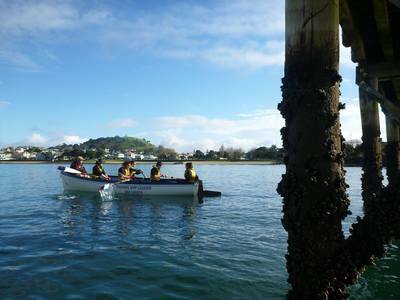 TS Chatham usually holds an annual weekend event in February and sail in Tauranga Harbour and are hosted within their facilities at Sulphur Point. TS Diomede has a Long Day sail in Whangarei Harbour. 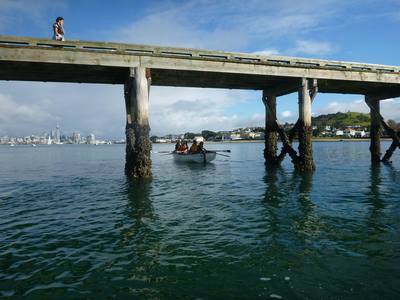 TS Rangiriri has hosted one day sails on Lake Hakanoa in Huntley, followed by a Barbecue dinner. TS Leander is fortunate to be the closest SCC Unit to the Home of the New Zealand Navy - HMNZS Philomel. Through-out the year, there have been many opportunities to visit the Navy Base, which includes the Bridge Simulator, Sea Safety Training School (Fire prevention, and Flood unit), the Dry dock, Ship visits and the Navy's Drill square. During the year there are opportunities to board various RNZN Ships either while at dock or during trips to and from New Zealand ports. 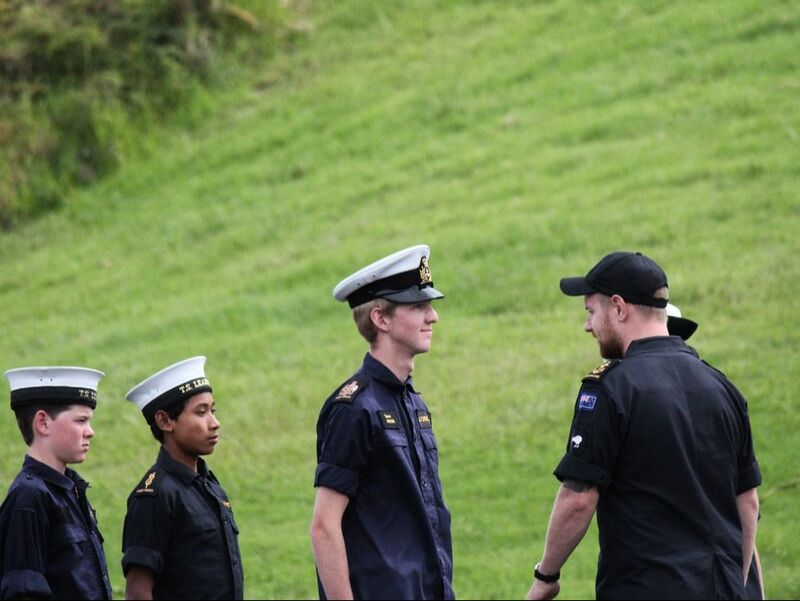 The Officers will advise cadets when the next visit or trip aboard an RNZN vessel will occur. The International Exchange Program (IEP) is a program run by the International Sea Cadet Association. 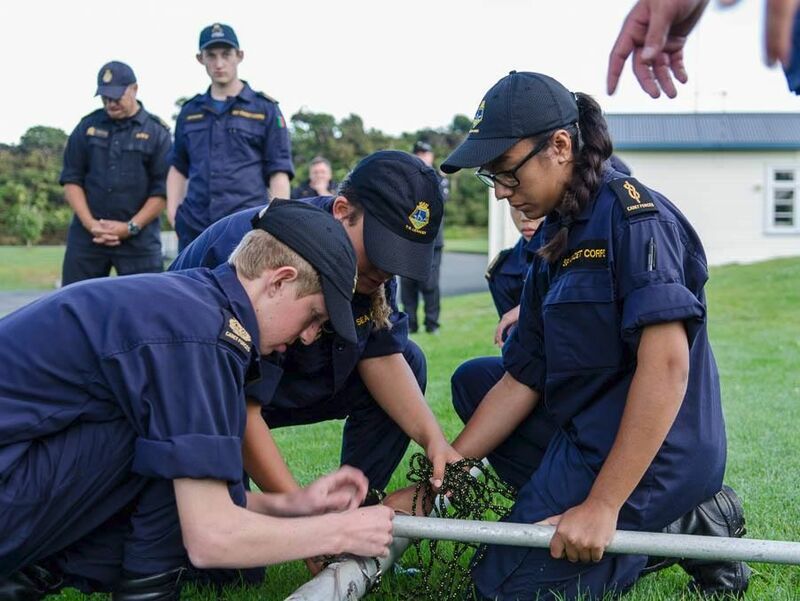 The Sea Cadet Corps of each country in the IEP, plan and run their own exchange. The IEP involves the Sea Cadets Corps from: Australia, Bermuda, Hong Kong, New Zealand, the UK, the USA, South Africa, and Sweden. The United States Naval Sea Cadet Corps (USNSCC) has an annual exchange in July. 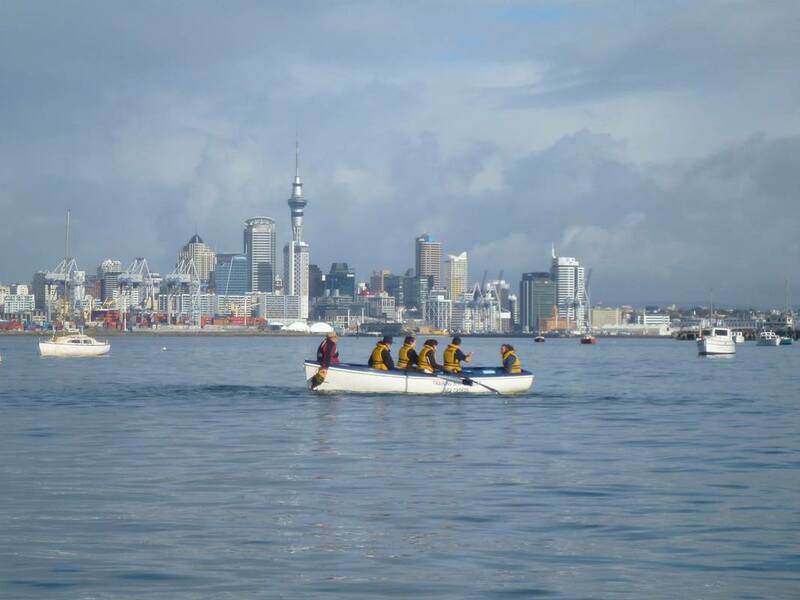 New Zealand Sea Cadets are selected to go over to the USA for a two week exchange each year. 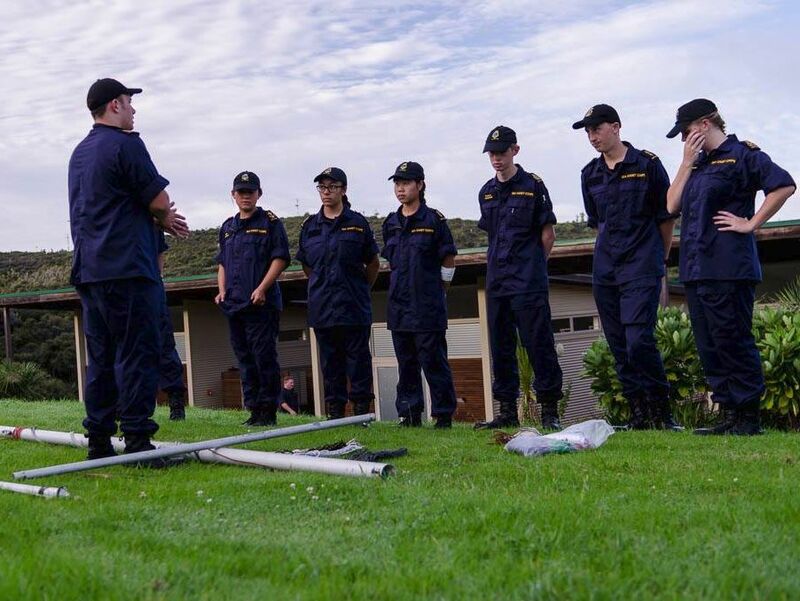 The Australian Navy Cadets (ANC) will usually hold an exchange every second year and this is a two week exchange.